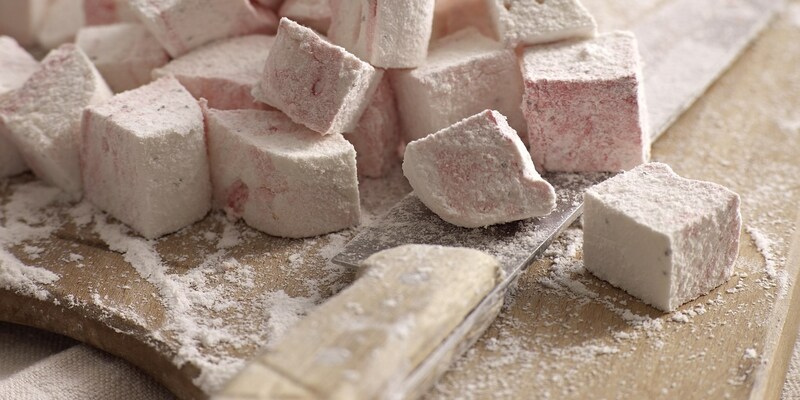 Marshmallow is a light, fluffy, gourmet treat, made from a whipped up mixture of egg whites, sugar, water and gelatin. You can make them in a variety of colours and flavours, and enjoy them on their own or incorporated into a variety of dishes. Chomp your way through William Drabble's classic marshmallows, Dominic Chapman's banana marshmallows, or Paul Ainsworth's toffee apple and marshmallow kebabs.